Potters’ Guild. She was also instrumental in starting summer schools to assist talented potters, and for thirteen years taught a course in ceramics at the University of British Columbia, Dept. of Extension, Fine Arts Division, where she helped artists submit their work to international competitions and exhibitions. Mrs. Davis was concerned with educating the public through craft demonstrations and working with the Community Arts Council, succeeded in establishing the first craft outlet in Vancouver. Collaborating with Luke Lindoe, she was involved in the founding Plainsman Clays, a supply firm that gave B.C. craftsmen a reliable and consistent source of potting clays. Her papers are stored at the University of British Columbia library, special collections. Olea Davis, a founding member and the first president of the Potters Guild of B.C., died in April 1977.
months before her death she was made an honorary member of the International Academy of Ceramics in Zurich, Switzerland. 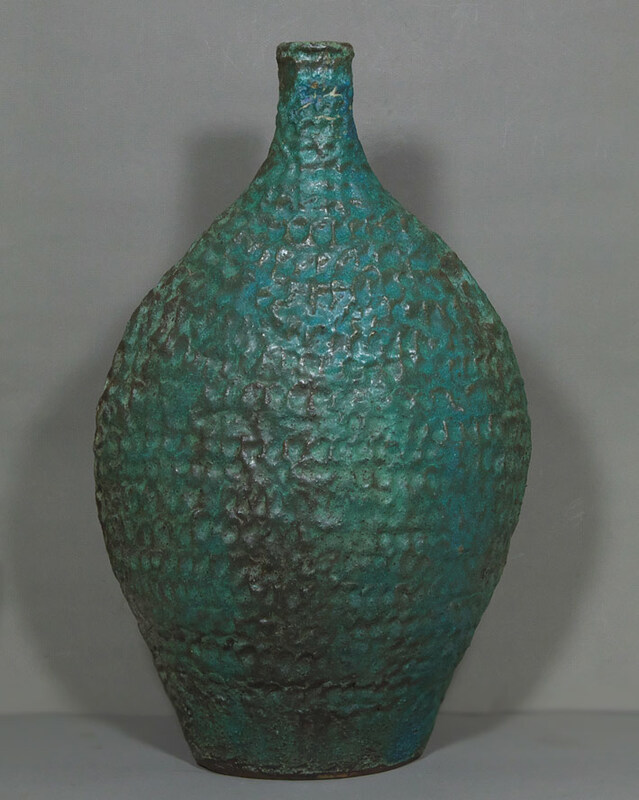 Olea had shown her pottery in many exhibitions in Europe as well as in North America. A brief biography of Olea Davis was printed in the Western Potter, issue ’35.